Here at Party Buses Louisville we have the best vehicles in the area. 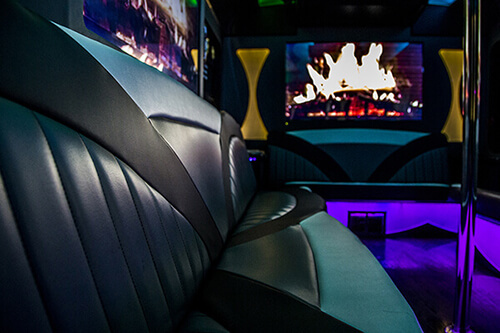 Each of our party buses and limousines has a fully customized interior with beautiful and unique designs that you wont find anywhere else. 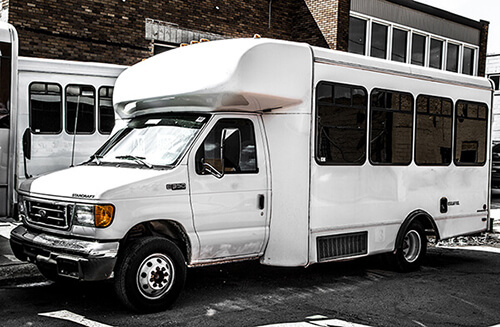 While each of our vehicles is beautifully unique, you can expect a few amazing features on each one, such as color changing lights, DVD players, coolers, dance poles, and more. We also offer a great variety of vehicles that come in all sizes. This wide range of features make our limos and party buses versatile enough for any event! You can find a small sampling of our vehicles below. If you'd like more details on any vehicles or want to view them in person, just give us a call! 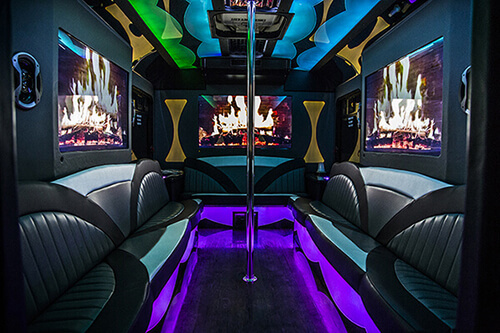 This beautiful party bus is ideal for any Louisville celebration! This bus has a spacious, inviting interior with vibrant color-changing lighting, comfortable leather seating, and a large cooler area for your drinks! For entertainment, you'll love the media package that includes a booming stereo, TVs, DVD players, chrome dancing pole, and much more! Our most popular vehicles are often booked weeks, if not months in advance (especially during peak seasons). Call us today to reserve your dream vehicle for your next event!